Don’t waste money on clay bars. You don’t need them when you use Beyond Clay. It does way more than a clay bar has ever dreamed of doing: restores faded paint to a factory gloss and removes swirl marks, light scratches and surface contaminants. Got tough water spots that are determined to stain your car forever? Gets rid of those too. 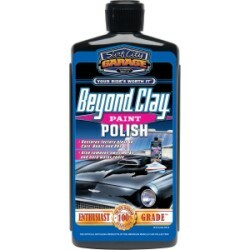 Use it with no fear of damage because Beyond Clay is 100% safe for all surfaces. Fold a clay bar a few times and you’re grinding contaminants into your paint instead of getting rid of them. Not with Beyond Clay. You’ll never buy a clay bar again. 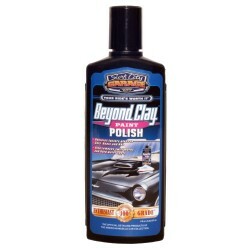 For best results, always use a protective wax after using Beyond Clay. We recommend using Barrier Reef Carnauba Wax. 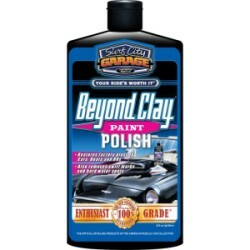 For best results, always use a protective wax after using Beyond Clay. We recommend using Shine-On Sealer and Glaze System to seal and amplify the shine, and then use Barrier Reef Carnauba Wax.